Rent villa with pool in Tuscany with free internet access. The villa is suitable for 10 people and is 500 square meters large arranged on 2 levels, on the first floor there are 3 bedrooms with respective bathroom, a living room, a beautiful kitchen, a loggia with wooden table and a large pergola of 60 square meters with a table for 12 people and a living room. The first floor is accessed via ancient stone stairs and there are 2 bedrooms with bathrooms, 2 living rooms and 2 kitchens. The garden of this villa for rent has a panoramic view over hills, woods, cultivated fields and ponds, is 5000 square meters large and has a nice pool. The villa also has a stone oven where you can cook pizzas. Review: We spent the most wonderful week at this delightful Tuscan villa. It is more like a hotel in its standard of accommodation – large rooms, comfy beds, well-equipped kitchens, large showers, everything pristine clean. The owners who live close by are the most wonderful and welcoming hosts; polite, charming, full of useful information about the locality. Paola’s cooking is sensational. Nothing is too much trouble for them. They have managed to achieve a perfect balance between remaining out of sight but being there when you want or need them. There is so much for children to do and so much for adults to explore nearby; the gardens too are beautifully tended and the pool area is perfect. 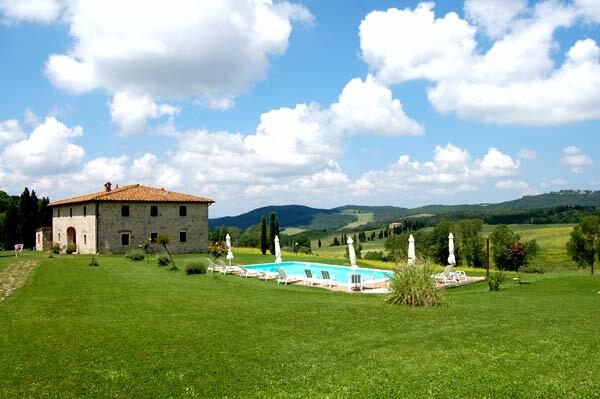 Situated halfway between the two stunning towns of Volterra and San Gimignano. I could not say enough good things about Villa le Ginepraie. A wonderful welcome and experience awaits you. Please do not hesitate to contact us for any information on our villa. We stay at your disposal. 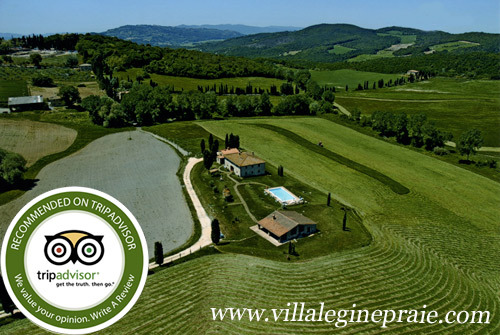 Review: We stayed in May for 5 days in the beautiful estate of Paola and Valerio. The place is a paradise and the owners lovely people and very private. On the occasion of celebrating the eightieth anniversary of my parents what better gift of a living room with all the wives, sons and uncles. 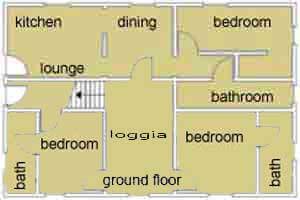 The rent of the whole villa is very proper weapon in order to collect the whole family each maintaining their privacy and their own space. The apartments and rooms are exactly as on the pictures of the site so it will not be disappointed, in fact they are very spacious and tasteful. Everything perfect …. The beautiful pool with a breathtaking view. The time with us was not very forgiving, but the scenery, walks and places to visit neighbors will have filled the vacancy of serenity. 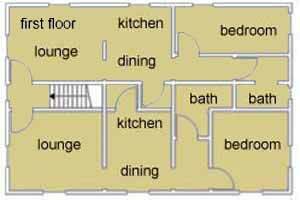 We are definitely going to take advantage of all the features it offers the villa.